San Clemente is a city in Orange County, California, United States. Start off your visit on the 21st (Sat): take a leisurely stroll along Oceanside Pier, then do a tasting at Europa Village, and then look for all kinds of wild species at Santa Rosa Plateau Ecological. Keep things going the next day: examine the collection at Mission San Juan Capistrano, look for all kinds of wild species at Pacific Marine Mammal Center, then take in the waterfront at Dana Point Harbor, and finally see majestic marine mammals with a dolphin and whale watching tour. To find maps, reviews, where to stay, and more tourist information, you can read our San Clemente trip planner. Charlotte to San Clemente is an approximately 39-hour car ride. You can also take a bus; or take a train. The time zone changes from Eastern Standard Time to Pacific Standard Time, which is usually a -3 hour difference. Traveling from Charlotte in September, expect nights in San Clemente to be about the same, around 60°F, while days are little chillier, around 72°F. Cap off your sightseeing on the 23rd (Mon) early enough to go by car to Santa Barbara. Nestled between the Pacific Ocean and the Santa Ynez Mountains, Santa Barbara is a solid vacation destination with its wide beaches, renowned wineries, and some of California's finest shopping and dining options. On the 23rd (Mon), indulge your senses at some of the top wineries in the area. Keep things going the next day: admire the architecture and history at Old Mission Santa Ines, then take in the history at La Purisima State Historical Park, and then take your sightseeing to a higher altitude at Cold Spring Tavern. For more things to do, where to stay, other places to visit, and more tourist information, you can read our Santa Barbara tour planner. You can drive from San Clemente to Santa Barbara in 3 hours. Other options are to take a train; or take a bus. When traveling from San Clemente in September, plan for somewhat warmer days in Santa Barbara, with highs around 79°F, while nights are about the same with lows around 58°F. Wrap up your sightseeing on the 25th (Wed) early enough to travel to Yosemite National Park. 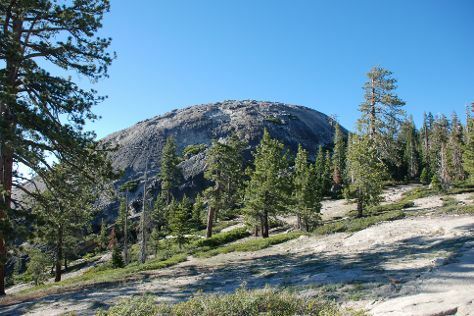 Eschew the tourist crowds and head to Sentinel Dome and Tioga Rd. Step out of Yosemite National Park to go to Lee Vining and see Mono Lake Tufa State Natural Reserve, which is approximately 1 hour away. There's still lots to do: explore the striking landscape at Glacier Point, trek along Tuolumne Meadows, make a trip to Olmsted Point, and get your bearings at Yosemite Conservation Heritage Center. Before you visit Yosemite National Park, use our trip planner to discover what you can do and see there. You can do a combination of bus, flight, and car from Santa Barbara to Yosemite National Park in 6.5 hours. When traveling from Santa Barbara in September, plan for little chillier days and cooler nights in Yosemite National Park: temperatures range from 74°F by day to 38°F at night. Finish your sightseeing early on the 28th (Sat) so you can travel back home.